3 Ways Glasses Wearers Can Still Go Swimming! With summer obviously many months away, you’re unlikely to be heading down to the beach for a quick dip at any time soon. However, there’s still the option of regular swimming at your local pool – and here are some products we offer that could help you to prepare for a good splash there. If, like many people likely to be reading this, you rely on glasses to keep your vision clear, you might be wondering how you could enjoy swimming in an environment where glasses seem impractical. After all, if you did enter the pool with your glasses, couldn’t they easily fall off and get splashed? There are some ways in which you can secure glasses more tightly to your face, therefore significantly reducing the chances of them falling off as you swim. 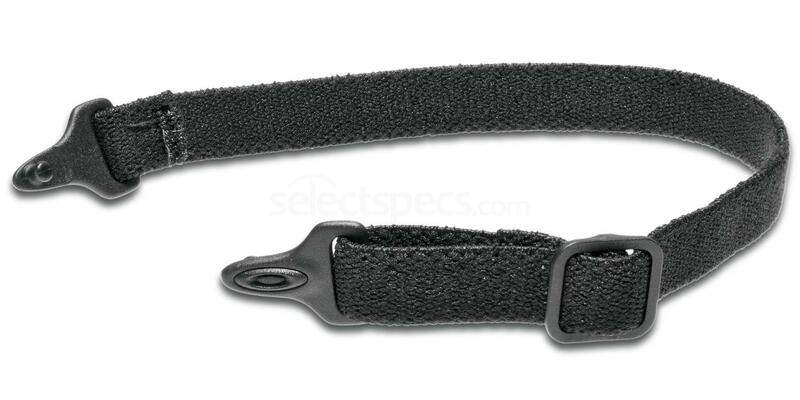 You can, for example, clip this Oakley Performance Strap Kit onto the arms of particular Oakley eyewear. It’s especially designed for use during sporting activities, and has a simple design that won’t stand out to other swimmers in the pool. Glasses are certainly recommended over contact lenses for keeping a clear view when swimming, as if you were to get chlorine behind your contact lenses then this could cause a few problems. A good alternative to glasses, however, are goggles. That’s because among the generous stock at SelectSpecs are Prescription Swimming Goggles! As with any other prescription eyewear we offer, you can arrange for us to place lenses matching your prescription into the goggles before we dispatch them your way. 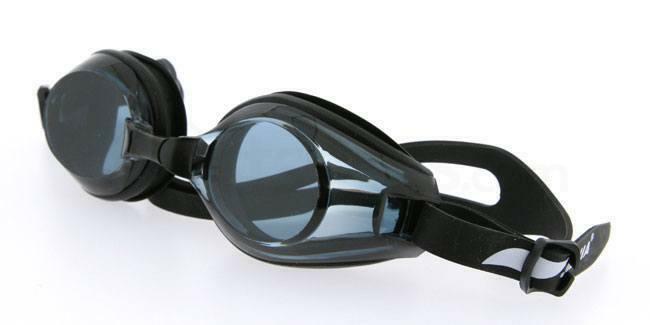 You can then, while swimming, enjoy all of the usual benefits of goggles along with the great vision that your glasses have left you well-accustomed to out of the pool. What about those occasions when you don’t actually want to swim, but do want to visit the pool to chat to someone you know enjoying themselves in the water? As you stand by the poolside and chat away, it could be irritating if splashing from other pool occupants – we’ll assume that your very nice friend is, of course, not guilty – leads to water hitting your glasses and ruining your vision. In that case, it can be great to have, in your pocket, some cleaning cloths. 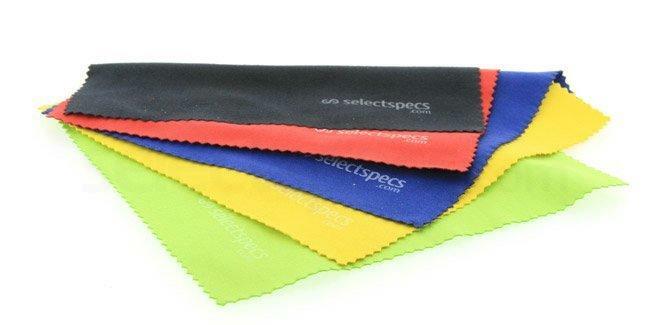 Any of the below-pictured SelectSpecs Cleaning Cloths would be ideal for whipping from your pocket and using to wipe away those pesky blotches of water. The colour could even prove a great talking point! How often will you be swimming? 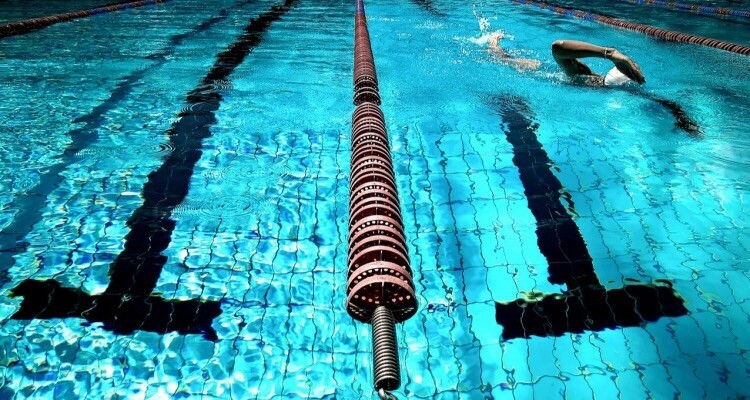 We should point out that all of this advice is aimed at casual swimmers – the type of people who, for example, swim just once a week or during the occasional holiday. If you are a more avid swimmer, you should seek advice from thoroughly experienced swimming experts. That disclaimer aside now it’s time for some fun! Whether you want to just take the occasional dip in your local pool, enjoy some time in the warm, clear water of the Costa del Sol this summer, or do something else entirely, you likely have various exciting plans for getting in the wet stuff. Don’t be afraid to use the comments box below to enthuse about what you’ll be up to. I’m nearsighted so when swimming I use Prescription Swimming Goggles! Well I didn’t know these type of googles existed. Till now I have used a full face mask over my older specs, Not a satisfactory solution. Obviously water leaks in slowly at the sides. I am definitely going to try these this summer. I was actually pretty surprised how cheap they are in your store. Thanks for the article. it’s going to revolutionise my snorkling this summer. Thank you for sharing! Your guide is simple and easy to follow.